Oh crumb buns! This should teach me always to crib from my betters. I just did read Tom Shales’ nifty Oscar piece, and realized to my horror that I had left out three of the night’s highlights: Shirley Bassey and her full-throated reprise of Goldfinger; Adele, and what turned out to be her Oscar-winning performance of Skyfall, and Barbra Streisand, whose tribute to her friend and long time collaborator, Marvin Hamlisch, with The Way We Were, was everything she must have wanted it to be: shimmeringly perfect. But I think that Argo does something well beyond winning awards: it connects us to that soaring, exuberant, embarrassing emotion, patriotism, in the same way that the Brooklyn Tabernacle Choir did when they took “The Battle Hymn of the Republic” to pure lump-in-your throat, tear-stained national pride at Obama’s Inauguration. 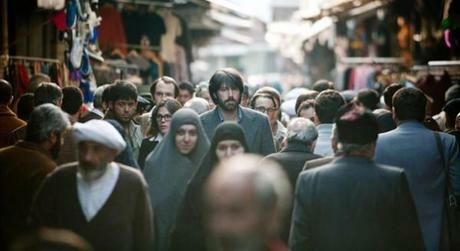 For every one of Argo’s artists, its portrait of American patriots, in Hollywood, Tehran and even Washington D.C. may have come at exactly the right moment.